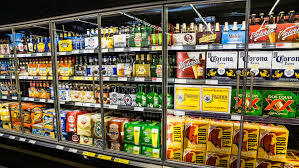 OKLAHOMA CITY (AP) – Beer snobs in states where grocers could offer only low-alcohol brands are raising their mugs to stronger brews, thanks to updated laws. Similar changes went into effect in Colorado Jan. 1 and will take effect in Kansas later this year. Now, Utah and Minnesota are the nation’s only “baby beer” markets. That future of the nation’s low-point beer market appears murky.